20170407. Euroleague 2016/2017. Real Madrid v Anadolu Efes Istambul. 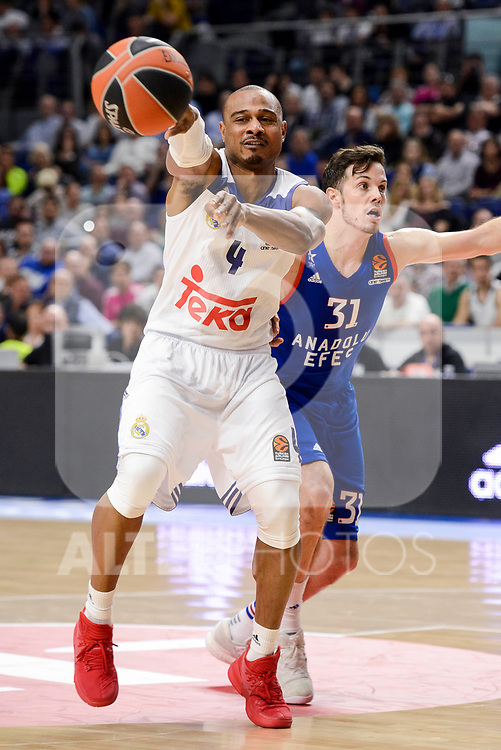 Real Madrid's Dontaye Draper and Anadolu Efes's Thomas Heurtel during Turkish Airlines Euroleague match between Real Madrid and Anadolu Efes at Wizink Center in Madrid, April 07, 2017. Spain.